If you aren't following my Twitter or Instagram, you may not have seen that I apologised for lack of Blogmas-ing over the last weekend. I'm super super sorry but the last few of days have been quite frankly mental, and have included packing up my life due to my university halls being a 30 week let (so I have to move out during the holidays), along with other various things and just not feeling particularly Alice-y, I was having an 'ugh' couple of days as me and my friends call it, to such an extent the extortionate shopping spree in Windsor didn't even cure it. In fact, tomorrow may be a haul post to show off my buys, but I'm not too sure yet as there are a couple of bits which are christmas prezzies! Anyway, today I've decided my blogmas post isn't going to stick the usual Christmassy themed. I know I've only been doing it just over a week, but writing Blogmas has made me realise there's only so much non-topical writing I can really cope with as a blogger. Some bloggers base their whole blogs on photo's and days out and fashion or beauty and that is all wonderful for them, but I've realised in the last couple of days that for me it just frazzles my brain. There's so much out there that needs discussing and talking about and putting out there, and just because it's not beauty or fashion it doesn't mean the typical internet-y audience or reader won't understand it, in fact I think it's a bit of an insult to assume that's all we consume. So today, and potentially in the upcoming days of blogmas, I've decided to stick to my daily blogging, but it's not always going to be christmas related. And today, I want to talk about the internet. I am, a self confessed internet human. I love social networking, I love Youtube, I love blogs, I even love the technicalities like html-ing and css-ing, I find the world wide web an incredible thing, I've even written previous blog posts on the perks etc. But recently there has been so so much that is making me want to cower and hide and run away from the interweb. As a pre-warning, a lot of this will mainly be relevant if you know a bit about other bloggers and vloggers. The Youtube vlogging community has been under enormous scrutiny over the past few months. Since way back when I wrote my 'Youtube culture' post, the Youtubing humans have been losing their appeal to me a bit and there are a number of reasons why, which I just wanted to get off my chest. I know, I know a lot of what I want to say is a bit controversial, and I don't want to offend anyone, particularly those who spend time and money in Youtube. The vlogging world has steadily been less of a distraction for me over the last few months, I've gone from checking Youtube daily to literally watching it once a week if that. And I think a large portion of this decline is due to the Youtubers I watch losing their appeal to anyone beyond or below the 12-17 age gap. There are a lot of videos I do and can relate to, but the majority of the content now put out for viewers are things I just don't find entertaining and can't really relate to at all. Louise (SprinkleofGlitter) is without a doubt the main person I watch and I do love her content and find it the most easy to watch for girls -and boys- a bit older, but a lot of the other Youtubing humans just seem to be focusing on the demographic of their viewers rather than filming what they would like to film. Obviously I can't speak for them and I have no idea what appeals to them, but when you remember Zoella, Alfie, Tanya etc... they are all in their twenties. It is almost unnatural for them to have the same interests as a 13 year old. Yes it is their job, but unlike for instance, children's TV presenters, their job has derived from the originality and of them making videos which are relatable, but all I seem to be seeing lately is tag video after tag video. As you can see from my word vomit, there's been a lot of pent up feelings towards this whole internet movement. 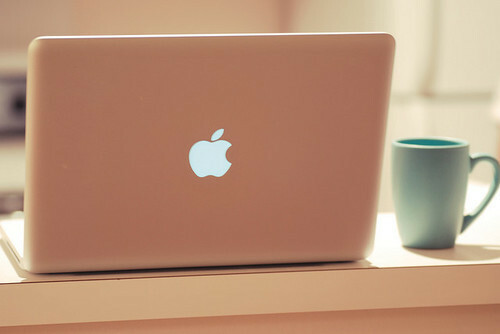 I am a huge advocate of the internet world. But I think the root of the problems have started with bloggers and vloggers getting a 'taste' of fame, being papped, having 'fans' instead of followers, and so they snap up any opportunity they can. I am genuinely not surprised or even annoyed Zoella has a ghost writer, if you honestly think Russell Brand or One Direction write their own books then you'd be sadly mistaken. But for me, the problem is, instead of all the youtube famous humans just saying 'dyou know what, we're great at vlogging and blogging and talking to a camera, let's stick to that', they're taking anything they can for granted and grasping it in any way they can to excel in their success when really, they shouldn't even be provided with the opportunity. Zoe Sugg is not an author and neither is she a singer. 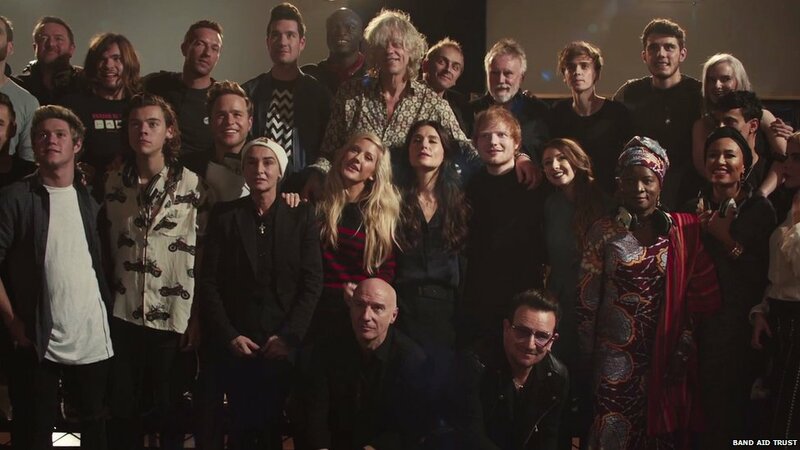 Herself, Alfie and Joe shouldn't have been on the Band Aid 30 single, because they are not singers. There are artists who work for years and years without being recognised as singers, and they waltz in from the internet and are given a place on the record. In all honesty, I just don't think it's fair. I love blogs and vlogs and I am in no way slating Zoella or anyone else as the bloggers and vloggers they are. The internet is not going anywhere and critics need to get over this and just get on with life, internet media is a thing and internet fame is only going to get bigger and bigger. But you wouldn't catch Ed Sheeran starring in a film or Cara Delevigne releasing a music video, because it's not their thing. Zoe Sugg can't write a 300 page novel, so instead of spending her energy going to meetings about a book she made up the characters to, she should have used it to create content for her viewers, she should have spent her time making more videos to help young girls and boys with confidence issues or anxiety problems. The problem with the internet is that it's becoming too big, overwhelmingly so, and it's started to make me want to run and hide from the rest of the world. I just wish someone would sit down with these internet humans and let them know, it's okay not to have a stereotypical 'talent', making videos and writing blogs is totally a thing now. But don't throw fuel onto the fire by taking up space in other people's professions because that's where the problems are going to start, and the more problems there are the more their audience is going to lose touch with them. I just can't help but feel, soon enough they won't be known for their video content and then their audience will realise that they can't actually sing and they don't actually write real books. It is such a dangerous game and I completely understand how people fall into it, but I just had to write this rant of a blog post and get it all out. Tomorrow will be cheery and non moany and back to festive life again! Oh my goodness this is so true! I completely agree! I agree! I don't really think it was necessary for Joe or zoe or alfie to even be on it at all. Though there are individuals who do movies and tv and sing but they're not all over the place in them..maybe a few projects here and there but they have one main focus eventually. Maybe that'll happen? I do still really like the BandAid song! You had me from the first sentence, I had to read what this post was all about. But you're right, once fame and fortune are in the mix, originality and honest love are pushed aside. It's sad. This is such an interesting read, and although I still enjoy the majority of videos I have to agree that some parts do seem slightly unnatural, for example like you said about these vloggers being in their 20's yet they are acting on par with 13 year olds. I do think it's a shame that the online world is steering towards money and fame rather than good quality content a lot of the time, and I completely agree with your point about Band Aid! I know exactly what you mean about them losing their appeal. I still watch them, but mainly their daily blogs not their formal videos. I still enjoy knowing about their daily lives but, as you said, all of these tag type videos no longer appeal. Which I find quite sad, they are only a few years older than me and it would have been nice to sort of grow up with them- but they've stayed appealing to the teen age bracket and I've gone past that stage now. When I first started thinking about blogging I thought I would be much the same as many of these vloggers in terms of content but I've realised that I just don't want to appeal to that demographic. I want to be relatable to my own age group, allowing me to just be myself. Blogging is mainly about having a place to talk about what I feel is important (or interesting), if people actually want to read it then it's a bonus. I understand why many vloggers haven't grown up in their content but it's a bit sad to think that they may not be being so honest in their thoughts anymore. This is a brilliant post and I literally couldn't agree more with it. I never understood why they get all the hype they do but like you said the internet is huge and people are bound to get famous but I agree they should focus less on the money and fame and more on what they originally started doing! It always shocks me when I see them at film premieres because they have nothing to do with acting and I think they look slightly out of place there! The only reason I blog is for fun and to get stuff of my chest plus it's something I genuinely love doing but I couldn't imagine being famous like them nor do I think I would like it! Completely agree with this post - bloggers and vloggers seem to be grasping any opportunity that comes their way, regardless of whether it has anything to do with their niche. For example, the latest Christmas cooking videos done by Zoella and the gang felt completely pointless to me; they're not professional chefs, or even hobby cooks so you can't watch their videos to learn about cooking, so what's the point in it? Partnering with them purely for the views and money just ends up generating poor-quality content. I also have to agree with Jasmine about the film premieres - none of them critique the film afterwards so seeing them at the premiere isn't going to make me want to go see the film at all. Similarly, a few travel bloggers have started writing posts about makeup, clothes and movies which are completely unrelated to their blog's focus and content. Blogs which I used to check and read daily I now hardly bother with, yet so many readers keep commenting about how great their posts are, rather than thinking, hang on, this isn't the high-quality travel content I signed up to read about - you wouldn't catch a car company creating a video about kettles because it's just not relevant to their brand. I think the trouble is that a lot of bloggers/vloggers have started out doing it as a hobby that's expanded into a career but they haven't taken the time to consider their branding and audience demographic and just fill up their channels/blogs with tag challenges which puts their older audiences off. I think the trouble is they have so many 'fans' that will watch and read whatever they put out there that they don't need to focus in the way that traditional brands do. I agree with you so much! I used to love watching all these videos and lately I am also loosing interest more and more. There are still some amazing channels left (Fleur De Force, Hannah Maggs or Louise) but I totally agree that sometimes you can feel a little too old for some of the videos. It seems that lately all these youtubers take every opportunity they get, without even considering if it's worth it and companies are also very smart about using their faces just to get the products selling, which is quite sad, to be honest. Even the Zoe's book.. I think she shouldn't have claimed to have written it herself and saying how it was her dream for the longest time. After this whole drama with her book started she just left and came back after couple of days to doing regular vlogs and without any explanation but all of the "fans" still keep commenting that they really missed her and don't seem any problems with anything. I really liked youtube more before it all became like it's now, it doesn't seem real or relatable anymore. I really liked this post, Alice, it's great! This is brilliantly written post and I completely agree with everything you have said. Before I went to work in Turkey in April for nearly 7 months, I used to love Zoe. I will still always support her and her brother but they have lost so much of their appeal to me since I've come back. Watching Zoe's vlogmas video this year compared to last year is shocking. She was so much more interesting last year and kept on churning out great content. I know it's apparently wrong to complain how much someone has changed because nobody stays the same and every one grows but to me Zoe has changed dramatically. It really is a shame. I'm 23 years old and in no way fangirled over Zoe but she's the person who inspired me to start my own blog and almost 2 years later I can't help but wonder where that girl has gone. Also as someone who used to watch videos daily to watch them once a week or so: I couldn't agree more with what you said! Most of their videos now don't look as natural as they used to be and it's kind of sad. It's hard to relate to most of their videos now. Also as you said, I don't think it's fair that Zoe, Alfie and Joe were in the Band Aid single when it's clear that there are real singers out there who I think really should be there. And I'm saying this as someone who really appreciates those youtubers (and many others) but it just doesn't feel the same as it used to be last year or 2-3 years ago and it's really a shame. Specially because I think they now focus more on views than content as hard as it is to say it but it's true. Though there are still really great channels that really put an effort on the content and it's something to appreciate. And I do like that you write posts about a certain topic, I appreciate it a lot. I do really relate to most if not everything of what you say in them.